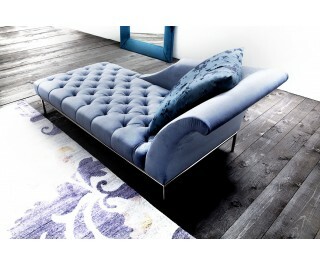 Autografo by Erba is a typical Day Bed reminiscent of the Romanesque period. Elegant and refined. Solid wood frame and plywood, sprung seat with elastic belts and covered with polyurethane foam without CFC Seat in polyurethane foam without CFC. Metal base. Back cushion in natural goose feather 100% virgin. The model is available in fabric or leather.